One sure way of to improve your productivity is to understand your hate to do list. What is your hate to do list? Basically, these are things you don’t like to do, and make you feel uneasy. It can be something like calling a nasty client or setting a meeting with a colleague that does not like you. Do not feel bad that you have a hate to do list. We all have them and there is nothing wrong with having this list. The important thing is as you gain experience, hopefully the hate to do list gets shorter. You will gain wisdom to know how to deal with these things that you hate now. To make the list shorter, you have to do them as experience is the best teacher. This list is not likely to be very long in the first place. It is likely two to three items that you do not particularly enjoy doing. Within it, there will be subsections. Divide them out into smaller sections then. Once you have divided them into smaller chunks, do the easier ones first. The idea is to get into the momentum and let the action gain traction. You will feel a little better and as you do, you will do more. What if it cannot be broken into smaller chunks? Like having a meeting with a colleague you do not like? Well, then the good news is that it is only one meet. Focus on the work that is needed and what the completion of the work can do for your career. Meanwhile, figure out how you can bring the animosity to a closure. Does it make sense to force yourself to do something that you dislike? Well, if you have a choice, of course you need not do them. But even CEOs have hate to do list. Can one then delegate this? Of course you can. But you will never be better at your work. There will always be that something that is sort of your Achilles’ heel. Somewhat of a weakness that will someday catch up on you. Besides, people in the office will soon figure out that you are always delegating things you hate to do. 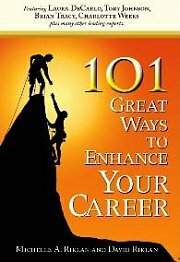 How far will that bring you in your career? Or your likability factor? Can you avoid laziness at work? Here’s how to overcome laziness and improve your productivity. For more articles related on how to improve your productivity at work, click here.